When it comes to our health, the internet can be a sea of information. But how do we know when we have found treasure? Acupuncture can be a controversial topic, with those who consider themselves “believers” or not. It is important to keep in mind that health is a journey, not a destination. Acupuncture is effective similar to exercise or healthy eating, in most cases doing it one time will not create a lasting result. Naima Chaves, CMP, LAc. is a Licensed and Board Certified Acupuncturist and Herbalist. As well as a Certified Yoga Instructor. She is native to the California coast and enjoys spending time with horses. Christmas Boutique for a great cause! Jerry Bruns, MD with the renowned Herbert Benson, MD at the Mind Body Medicine Conference at Harvard this past week. Herbert Benson, MD, has been a pioneer in Mind Body Medicine, and one of the first Western physicians to bring spirituality and healing into medicine. Throughout his 40+-year career, Dr. Benson has worked to build awareness of Mind Body Medicine, to validate it through research, and to bridge the gap between Western and Eastern medical practices. 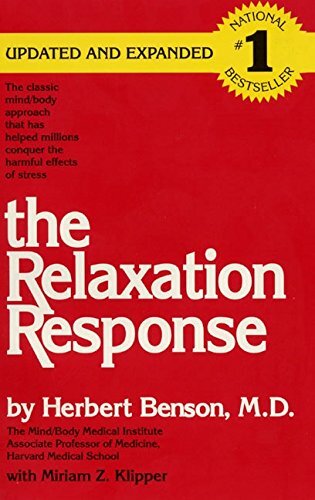 See his book The Relaxation Response in our amazon store link below! The Mind Body Medicine Conference provides education and evidence-based tools to incorporate mind body medicine into day-to-day practice to improve patient outcomes and quality of life. This is something La Mer strives to do every day! Bredesen and Bruns Fighting Alzheimer's! Dr. Bruns got to meet with Dr. Dale Bredesen who wrote “The End of Alzheimer’s: The First Program to Prevent and Reverse Cognitive Decline.” Lucky to engage with a leading researcher, Dr. Bredesen, at the Academy of Integrative Health and Medicine conference a few weeks ago. Dr. Bredesen is internationally recognized as an expert in the mechanisms of neurodegenerative diseases such as Alzheimer’s disease. 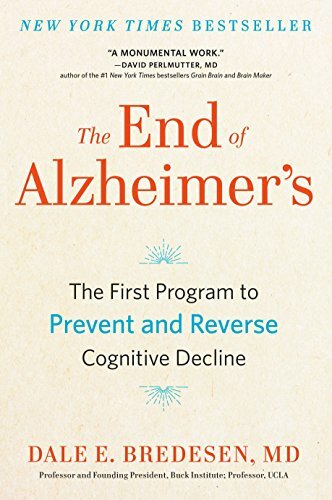 Read more about The Bredesen Protocol in his book below! Did you know that not all pharmacies charge the same amount for prescription drugs? Well they don’t. The difference between two pharmacies can be great, as much as a five times difference, or even more. For those of us who need to pay cash for our meds, shopping around to different pharmacies can make a big difference. As I mentioned, there can be a big difference between the cheapest pharmacy and the most expensive pharmacy. Now I am talking about comparing apples and apples here. This is not a comparison of generic to brand names (more on that below), but rather a comparison of the exact same med from one drug store to the one cross town! Before you pay cash for a prescription, check at least 3 pharmacies. A good place to start is the discount houses like Costco or Sam’s Club. You might think that you can’t go there unless you have a membership, but think again. Even if you are not a member of these stores you can still use the pharmacies. They frequently have the best prices, but not always. Be sure to check the small “Mom and Pop” type of pharmacy too. Often they have the best price, and I think that the service is better here. You can also do a Google search on “price of ‘drug X’”. That will give you a list of pharmacies and how much they charge for that drug. Generic vs brand drugs: With few exceptions, generic drugs are just as good as the brand...but much cheaper. On rare occasions it might make sense to use only the brand drug. You can ask your doctor if the medication that you are taking must be brand. If you are taking a medication where the dose is critical, (e.g. thyroid) it is more important to be sure that the manufacturer of the med is always the same. You may need to talk to the pharmacist this time. He can usually get the correct manufacturer med for you in 24-48 hrs. Those of us with insurance can also save...although the savings will usually be less. It always makes sense to ask what the cost of a prescription would be if you didn’t use your insurance. It will usually be less with insurance, but not always. If the drug is cheap or if your copay is fixed you may save money by paying cash. This is frequently the case for chronic medications that are cheap. The cost for 100 pills could be close to the copay of one month’s supply. That means that you get over 3x the amount for the same. Just ask! Also, be sure to use one of the preferred pharmacies in your network. The copay will be lower here than an out of network pharmacy. Do not assume that the first price you’re quoted is what you have to pay! In summary, it pays to shop around! Dr. Huff is a third-generation family practitioner. He practices family medicine in Oxnard where he was born and raised. He has been in practice for over 25 years. His special interests are pediatrics, gynecology and sports medicine. New Brain Circuitry Recognized That May Help Treat Mental Health and Addiction Behaviors! There is a news release done by the National Institutes of Health that announces researchers have identified the key brain circuits for reward-seeking and avoidance behavior. These will help us understand many mental health conditions and addiction behaviors. Amazing research being done out there to help treat and prevent disease! The NIH has put out in their Mind and Body Information page a video that looks at Meditation and Pain. Share with someone you know that might benefit. Mindfulness meditation can help a person with pain focus on the pain sensation—and this causes changes in both the subjective response to pain and the brain’s reaction to it, said Dr. Richard Davidson, founder of the Center for Healthy Minds at the University of Wisconsin–Madison, in an NCCIH video interview. Focusing on specific pain sensations—such as tingling, pressure, or heat—seems to diminish the emotional aspects of pain, and that helps people cope with the pain they’re experiencing. Debbie Herrera, NP Honored as Paul Harris Fellow! Our Nurse Practitioner, Debbie Herrera, was recognized by The Rotary Foundation of Camarillo as a Paul Harris Fellow yesterday at a ceremony in Camarillo! Congratulations Debbie on your outstanding commitment to the Rotary Club and the community! What Are Mind and Body Practices? The term “mind and body” can be confusing. People sometimes think it refers only to meditation and yoga. But mind and body practices are much more diverse than that. At the National Center for Complimentary and Integrative Health (NCCIH), the term mind and body practices refers to a large group of procedures or techniques administered or taught by a trained practitioner or teacher. They include spinal manipulation, massage therapy, relaxation techniques, tai chi, qi gong, yoga, and various types of mindfulness- and meditation-based practices, among others. Researchers have done many studies on some mind and body practices, such as acupuncture, spinal manipulation, mediation, and yoga. Less research has been done on some other practices. Avoid ADDED sugars! It is best for your health. Sugar in blueberries is fine, but the other ingredients in the pancakes----that is added. If you add any kind of sugar to a food product--- that is an added sugar! Rising rates of diabetes and obesity have been contributed to the massive quantities of sugar intake. Try to eat and drink less of all sugars. This can be done by identifying the added sugars in the foods you eat and secondly, by reading the labels --i.e. corn sweetener, cane sugar. It is okay to enjoy, in moderation, your unhealthy treats--just try to avoid the added sugars and unnecessary additives. A newsy article appeared in Popular Science, June 13, 2018. Click here for a quick and nutritional read. Jeanne Hesse is the Director of Patient Services for La Mer. She enjoys reading and walking with her grandchildren. Participate in a study from San Francisco State University Today! An Assistant Professor from San Francisco State University has asked us to help rate some shapes for a study that they are doing. It takes 10-15 minutes to complete. If you can take some time to participate today that would be wonderful! The sooner the better! This is a copy of the Alzheimer's Association's Caregiver Tips & Tools. Contact the Alzheimer's Association to subscribe today! Yesterday was the Annual Alzheimer’s Association Professional Education Conference: Dementia: Current Trends, Future Directions. If you missed it, please save the date for next year, the knowledge presented from the leaders in the country working in dementia research and disease management is invaluable. One of the presenters, Keith Fargo, PhD talked about 10 Ways to Love Your Brain: Tips that may reduce the risk of cognitive decline. These are some of the lifestyle changes and preventative actions that La Mer promotes with it’s patients. …..The difference between a challenge and an adventure is in our attitude and perspective about it. Dry Skin 101 with Michael Huff, MD! When one realizes that we live in a semi-arid desert it is easy to understand why dry skin is one of the commonest things seen in a primary care doctor’s office. This complaint is more common in the winter when the air is even drier. When a patient suffers from dry skin the most common complaint is “I itch!”, but there is no rash. It is also usual that the itch is worse at night. Commonly there is no visible sign that there is anything wrong with the skin. Occasionally there will be some scales or other signs of dry skin, but these findings are less common than normal appearing skin. If the patient is scratching the itch there are frequently some small scabs on the problem area. These areas are commonly the lower legs. In addition to our dry climate, other causes of dry skin are the things that we do to our skin in the name of cleanliness. Many people shower or bathe daily. When they do this they usually lather up the entire body. This use of soap depletes the natural oils in the skin and makes it dry. When it is dry it tends to itch. The treatment for this uncomfortable itch is to correct the things that cause the dry skin. We can’t do much about the climate. It is what it is. What we can do however is ameliorate some of the other causes of dry skin. One thing that will help is to decrease the frequency of the showers. Many people will cringe at the thought of not showering every day, but for severe cases of dry skin that is exactly what is needed. The next thing to do is use the correct soap. The correct soap is one that is not very drying. There are 2 soaps that have been tested and found to be mild. Those 2 are Dove (original) and Lux. They are mild and will not dry out the skin when used correctly. The correct use of soap is to use it in only the areas that get sweaty. These areas are the face, armpits, and crotch. Some women may also want to include under the breasts. The rest of the body does not need any soap. Simple rinsing in the shower is all that is needed, unless you are covered in mud! Finally, you need to lubricate the skin and replace the oils that the water and the dry air have washed out. The product that I recommend is Aquaphor . Your first thought when you see this product is “Its too greasy!”. It may seem greasy in the jar but when you put it on your skin and RUB IT IN it doesn’t leave the skin greasy at all. It may take a few days of this treatment (minimal use of soap followed by Aquaphor rubbed in over the whole body immediately after a shower) to make the itch go away but it will. Thereafter one should use this routine after every shower. If one follows this routine daily, it will prevent the itch caused by dry skin. Dr. Huff is a third generation family practitioner. He practices family medicine in Oxnard where he was born and raised. He has been in practice for over 25 years. His special interests are pediatrics, gynecology and sports medicine. The 2018 Facts and Figures about Alzheimer's Disease are out. Thankfully The National Institute of Health received a significant increase in funding to support research into Alzheimer's Disease. Is this enough? Healthy lifestyle and prevention may help as well. Celery, Bloody Mary, and the Phytochemical of Splendor.